The power of Blockchains and what we are building with it. In one line, the STEEM Blockchain is for building incentivized, public content platforms. In this blog, I’ll cover the key characteristics of blockchains on which we understand, use and measure them. Along with that, I’ll also cover what additional value does the technology brings in for the platform when compared to the mainstream (non-Blockchain) centralized platforms. For more than two decades we are fueling the growth of the Internet. For the most part, truly free. In its early days, the infrastructure was new, with fewer applications, and untouched by the huge population. The blockage in information flow in the offline world too hampered the growth. Then, after a decade, the technology, tools, and the applications built on top of it became familiar to the masses. And today we have Internet platforms for almost everything. Now, we are witnessing the next era. The next two decade will bring close to 100% of the world’s population on the Internet because the devices, energy, and the Internet costs are lowering with time. In future, we need decentralized power/entities so that the masses have a say in the decision making. The real value comes in when the decentralized networks become markets. The more efficient these networks are, the better. Electricity, roads, social media etc. are networks, the more people join them, the more value they have. When people contribute, run, moderate/curate, manage or support them, then these networks generate value for the participants. The key features of Blockchains are: Decentralized platforms, coins to incentivize the participation, and no central authority; means no central censorship. The Blockchain-based markets will replace existing networks slowly, then suddenly. There are a lot of speculations going on about the future of Blockchain and Cryptocurrencies, but let’s not dwell much into that and focus on how we can build a better future, the future that we dream. Any technology is just a tool to realize our dreams for a better world. Can we monetize content without ad revenue? Will people join new platforms for monetary incentives? Do they really care about immutable content and data ownership? Does democracy on social network matters? Is it necessary to reward users for contributing valuable data? These doubts and questions are natural to erupt all of a sudden. Part of the reason is that we have accepted the social/content sharing platforms/networks as they currently are and the answer to these questions sounds alien and sometimes impossible. But, these (centralized, non-blockchain) successful platforms actually paved the path for the new kind of platforms. This one word is the reason for all the power that humans have acquired in this world; in form of tribes, nations, industries, and independent communities on the Internet. The catalysts for creating better communities are openness, incentives, freedom, and return on their value creation. A number of eyeballs attracted to a content mean it is adding some value to the network/community. That data/content (contribution) lies in the sediments of enormous content on the platforms and million of small-independent creators end up providing value for free. Not every creator can benefit from the little value (data) contribution they make. They use their brain to create and share value with the community. It makes all sense if they receive a proportion of the monetary value they are adding to the social network. 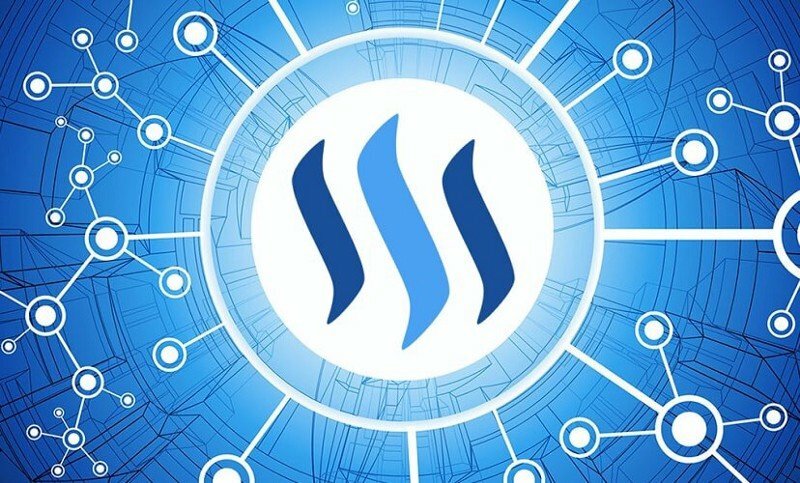 Steem Blockchain inherently monetizes the content, the upvotes/likes/ratings results in the rewards in form of STEEM tokens (consensus level tokens) and the tokens carry real monetary value in the markets. The content posted on Steem Blockchain based platforms is time-stamped and available on the public ledger to verify the original creator. In a circumstance where a creator would like to address those who have re-shared without permission or attribution, blockchain-based records provide public proof that the content was posted by a particular user at a particular time. ‘Speech Is Freedom Itself’ — Chang Ping. Only community/users can bring down the wrong content by downvotes or the witnesses (the delegates) can flag the inappropriate content on the Blockchain. The Blockchain is censorship-free itself, however, the platforms built on top of it can hide the inappropriate content from the users. There are a lot of resources on the Internet to learn about the Blockchains in general and to learn about different frameworks. Start with the following brief introduction to Blockchains and read the recommended articles to explore them in depth (Link at the end of this blog). There are two types of Blockchains, public and private. The choice is made between the two depending upon the application. Private Blockchains are used for developing applications for corporate purpose where nodes need to verify themselves in order to download a replica and operate. Whereas in the Public Blockchains anyone can join the network of nodes anonymously to serve and benefit from it. Nodes are the computers/servers that power a particular Blockchain system. You can think of a node as a server, where each participant maintains a shared replica of an append-only ledger of digitally signed transactions. There are different nodes for maintaing and running Bitcoin, Ethereum, Steem etc. These nodes are responsible for protecting the network, verifying the transactions, and keeping the network up. The network incentivizes the nodes by paying them in tokens. These tokens are traded on exchanges against fiat currency and different tokens have their purpose in the network and in the market. 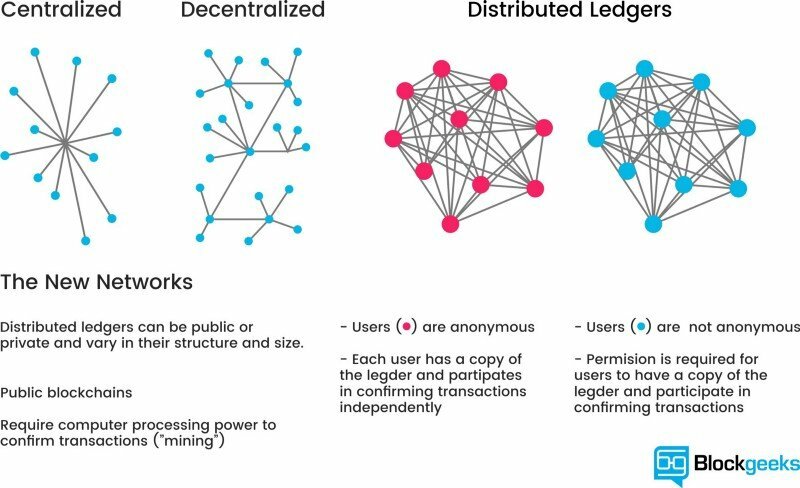 Blockchains are designed to build decentralized applications. The job of nodes is to verify transactions and power up the network. There are various algorithms called consensus algorithm to determine the validity of a transaction by a particular node. These algorithms are also used to vote for integrating new updates in the Blockchain etc. They get rewards in form of tokens for every successfully verified transaction. PoW: The nodes need to solve a hash function (computation intensive cryptography problem) in order to verify a transaction. A verified transaction creates a block, which is appended to the chain and updated across all the nodes. The nodes get a percentage on the number of transactions they verify. All the nodes compete with each other, maintaning the stability of the network to work more efficiently, Ex: Bitcoin. PoS: In Proof of Stake, the creator of next block is chosen via a various combination of random selection or based on the number of tokens they are holding. Ex: Ethereum. DPoS: In Delegated proof of stake, continuous voting by the nodes elects a fixed number of delegates to verify transactions and make consensus on updates. The raking by the number of votes creates a list of top 20 delegates in Steem Blockchain to regulate the entire system. The voters punishes the non-performing delegates by voting against them. Which makes it faster than all the other blockchains. Ex: Steem. Every verified transaction creates a block. The time complexity of verifying a transaction results in varied transaction time for different tokens. Since the Steem Blockchain uses Delegated-Proof-of-Stake, it is comparatively faster than any other Blockchain. On social media, every post creation, comment, or like is a transaction, therefore it needs to be fast. The time consumed in creating a block determines the efficiency and scalability of a Blockchain for mass adoption i.e. how fast it works. Transaction time comparison for different tokens. Blockchains and the tokens go hand in hand. Tokens have different utility in different ecosystems. For example, in Steem Blockchain Steem tokens are rewarded to the users for the upvotes they receive on their content, the nodes and delegates get a percentage of tokens for keeping the ecosystem running, advertisers can pay in steem tokens to promote their content on the platform, and a few online stores are also accepting these tokens. With time, the utility of these tokens will increase because they do not need any central authority to regulate it, which makes if fast to transfer and a standard price holds across the world which is decided by the markets. These tokens are traded on various crypto-exchanges, some of the popular crypto-trading exchanges are Binance, Upbit, Bittrex etc. The tokens can be traded for the fiat currency. But we believe that trading them for fiat currency is just a short-term thing as these tokens become mainstream to trade, lend, and pay for various services in the real world. The first application built on STEEM Blockchain as a proof of concept. The Steemit (blogging platform) has 600k registered users on it and this takes up the majority of Steem pool tokens generated every day. D.Tube is a competitor of YouTube, a video sharing platform. It is open-source and completely decentralized. They store their content on IPFS and this platform is the second biggest on STEEM. Busy.org is also a blogging platform with better UI/UX and they are building a good community of bloggers/writers. There are many other platforms built on Steem for different purposes such as steemhunt, dsound, dlive, utopian.io etc. All these platforms are in their Beta at present and it’ll take a couple of years for them to mature and become stable, scalable, and reliable. There is surely a long way to go and to build a world of tokenized, decentralized, and incentivized content sharing platforms. Steem recognizes that the value of all user contributions (posts and votes) is greater than the sum of the parts. A single comment is worth next to nothing, but millions of curated posts is worth many millions (or possibly even billions) of dollars. A single vote provides little curation value, but billions of votes is very effective curation. Content without curation is of limited value. Given all the content of the Internet minus the links between it, Google would struggle to produce useful search results. It is the links between information that give it significant value. Because everyone benefits, everyone should pay. In other words, no individual user should be expected to pay for anything, but instead should be paid for everything they do that brings value to Steem. All we need to do is ascertain which user contributions bring a social network value and which ones don’t. Collectively Reddit users vote 220 times per second and make 23 posts per second. Reddit is valued between $500 million and $4 billion which means that each and every upvote and post is worth 18 19 between $0.06 and $0.50 assuming the value of Reddit is mostly within the past year’s worth of activity. One could argue that most of the value of Reddit is the near-real-time discussions that have occurred within the past week which would dramatically increase the value of the new activity. People go where people are today, not where people were last year. We humans, we work to make better data processing systems and efficient networks. If we look at the history, at first we used to store data only in our human memory which was of limited capacity. Then we invented writing, to record and process data, but it can’t be scaled and processed after a limit. Then came computers, and we used them to build a world with a sole purpose of collecting data, storing it, processing it and putting it to good use. The technology converted billions of devices into data collecting and processing units. Which makes this world look like a tiny place, where everything getting connected, one at a second. In other words, whichever method, approach, or technology servers to the needs of human collective and our need to collect, store, and process data will persist. The evolution has taught us that the networks which are efficient, transparent, trusted, democratized, capitalist, and liberal, works. Better than any other form of network. Dictator or socialist networks didn’t work for us, so they failed. That is why we build better networks and markets with electronic gadgets, power-plants, electricity distribution grids, knowledge sharing platforms, better water distribution systems, big social networks, value/money/asset sharing and/or transaction platforms etc. The Blockchain technology along with Crypto-Tokens help us realize these kinds of networks/markets, better. So, they will persist. HapRamp is a STEEM Blockchain based social media for the creative communities where people can earn rewards for sharing valuable content on the platform. If you found this story useful, please click the 🔼 button and share to help others find it! Note: A part of this blog’s content is attributed to this above-mentioned Twitter thread and Steem’s White Paper.